Punnett's Square: Why am I tired after eating a big Turkey Day meal? Why am I tired after eating a big Turkey Day meal? So where did this assumption come from? Bad science could be a possible origin. 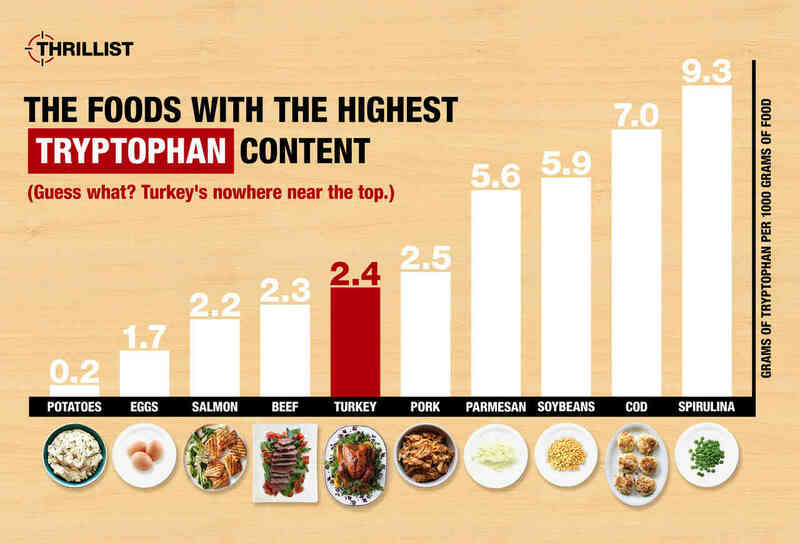 Just because turkey has tryptophan does not equate to a direct increase in serotonin. Lastly, a possible Seinfeld episode (3). Happy holidays folks, stay educated. This blog post was one of my favorites because I love Thanksgiving food. It is interesting to find out that the reason for tiredness after eating on Thanksgiving is more psychological and environmental. Knowing this, I will continue to eat as much turkey as I please and take all the naps that are necessary. Wow! It never occurred to me all of the factors that can make you drowsy after eating a huge meal, I always thought it was just because I was so full and didn't want to move around. Now I have something to talk about at next year's Thanksgiving when all of my uncles are asleep on the couch!